By sending teams on mission trips to underprivileged countries and sharing the Good News and love of Christ with orphans and families in the communities to which the teams travel. 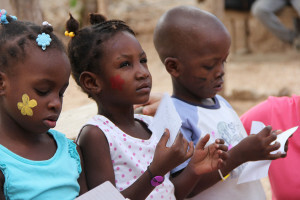 Currently, Y4O serves in the Bahamas and Haiti. 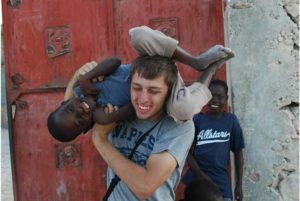 The purpose of a mission trip is to lead people in service to others while building relationships with communities in an effort to break cycles of poverty (material, education and spiritual poverty), which lead to more orphans. Mission trips may consist of work teams, camp teams, education teams, medical teams and vision teams. Biblical training: Bible based education to assist youth, young adults and their families in their personal walk as Christians and providing biblical basis for serving in the mission field. Leadership training: Train student leaders and mission teams to be tomorrow’s Christian leaders. Our training includes retreats for beginners, mission teams and in-depth leadership for seasoned missioners. Care and Prevention Training: Providing education on the physical, mental and emotional effects of malnutrition, abandonment, removal and abuse to children. Arranging for First Aid/CPR training for mission trip leaders. Adult Teams work with communities to set up ESL (English Second Language) classes, teacher education training and Bible studies. Vocational training coming soon. 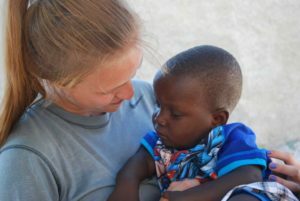 Providing support to orphanages by conducting Christian camps, building lifelong relationships with orphans and their communities, sending financial assistance and goods to care for children’s basic needs such as shelter, food, education and medical attention. Working with communities by providing opportunities to learn English (ESL), good business practices, health and sanitation, and Bible studies to proactively alleviate the issues which lead to orphaned children.